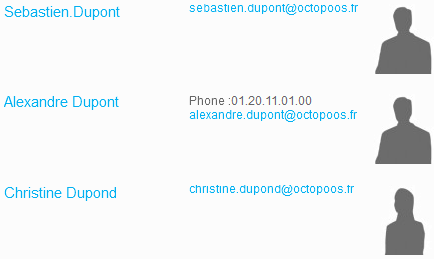 Repeat or duplicate a field. Basically the FieldX allows you to repeat/duplicate a single field many times, an example could be an image gallery where a user can upload many images but you dont know how many so this way they can simply repeat the field if they want 1, 2, 3, e.t.c. times (You set the min/max/default so you are still in control). Required, write the name of the field you want to repeat. Be careful, the field name should not contain any spaces or special characters. 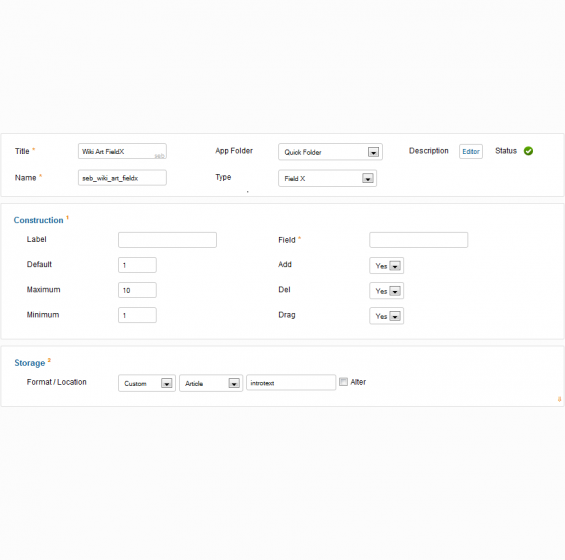 Required, write the number of times that the field appears in the first loading of a form. Write the maximum number of times beyond which the field designated by the parameter "Field" can not be added. Write the minimum number of times below which the field designated by the parameter "Field" can not be deleted. Select option (Yes) in order to enable the add feature in the form. 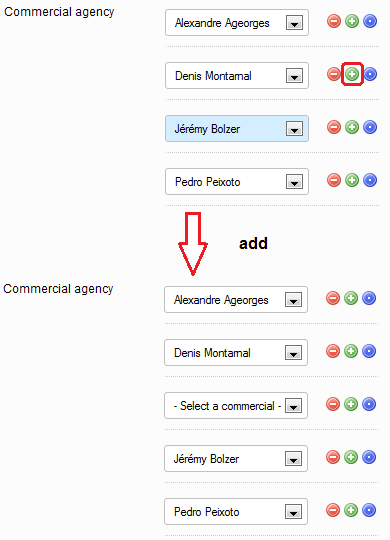 Click on the green button in the form in order to add a new instance of the field designated by the parameter "Field". Select option (Yes) in order to enable the deletion feature in the form. 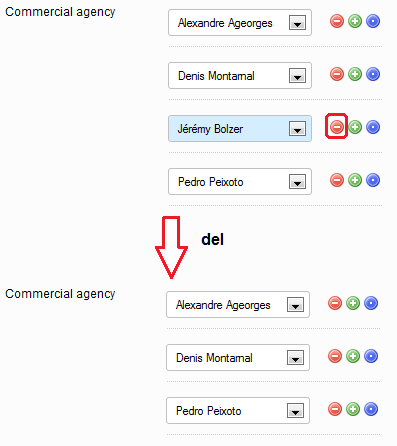 Click on the red button in the form in order to dell an instance of the field designated by the parameter "Field". 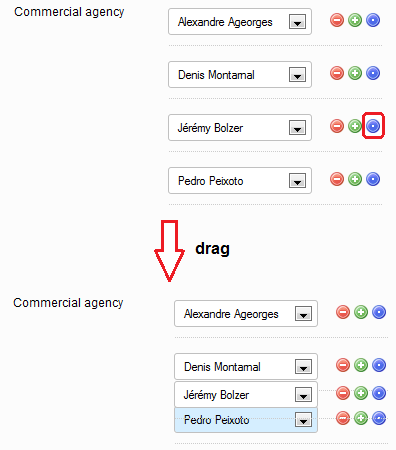 Select option (Yes) in order to enable the drag feature in the form. Click on the blue button in the form in order to drag and drop an instance of the field designated by the parameter "Field". Please note, use only the storage custom, Article, introtext" for the field "fieldX".